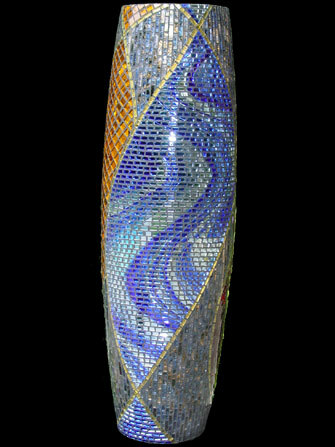 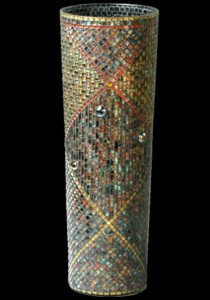 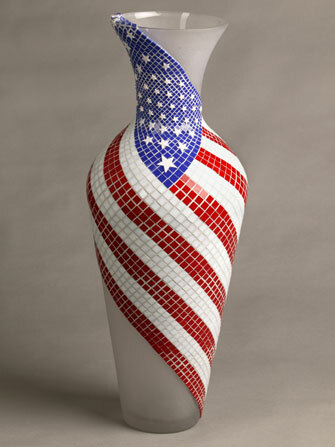 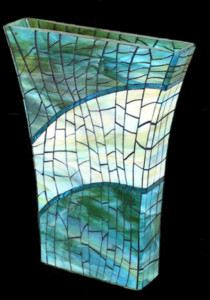 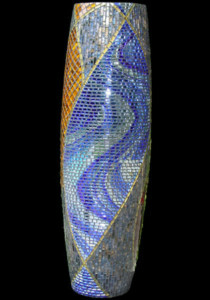 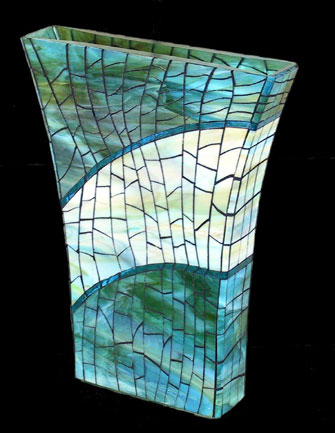 Artistic mosaic and fused glass vases, platters and sculptures. 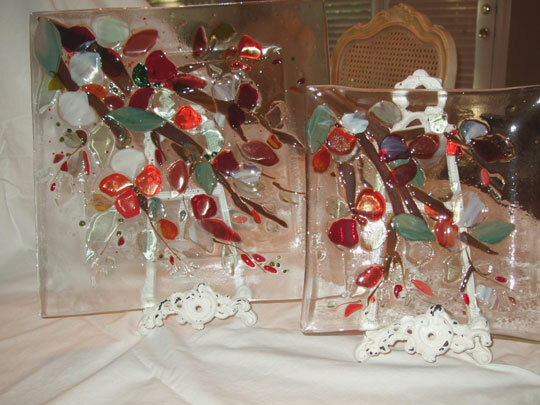 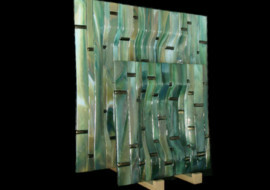 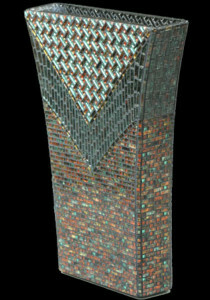 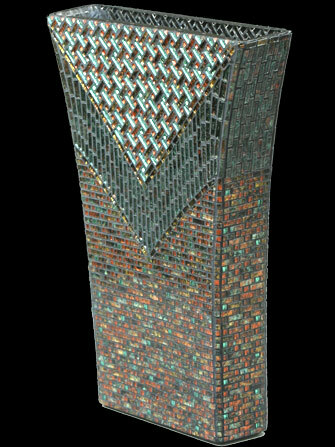 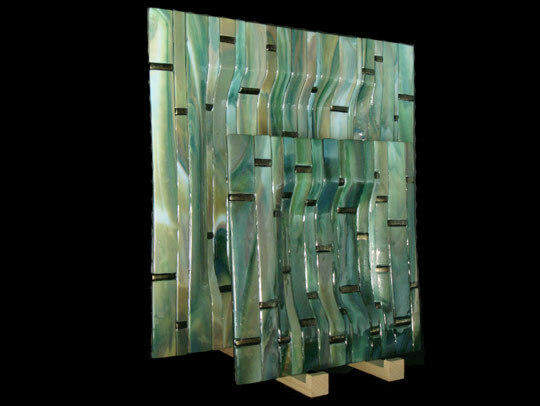 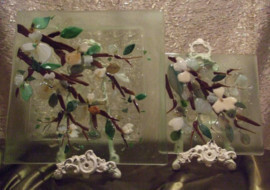 This sections contains glass three dimensional OTHER ARTWORK using either hand-cut mosaic glass tiles or fused glass. 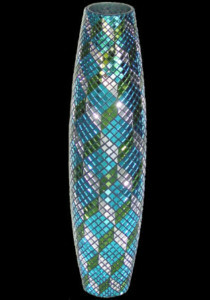 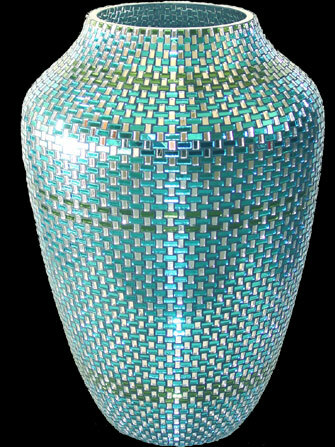 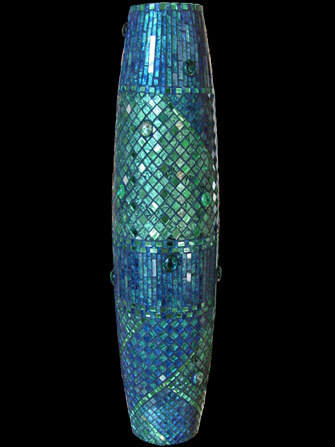 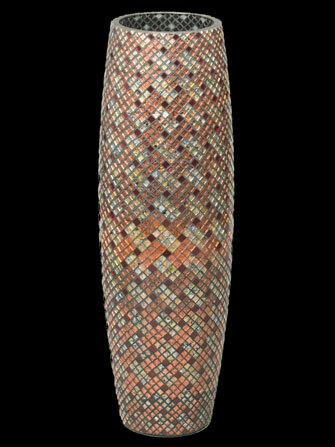 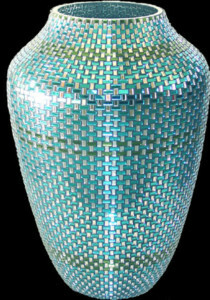 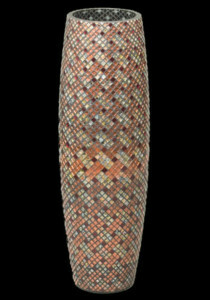 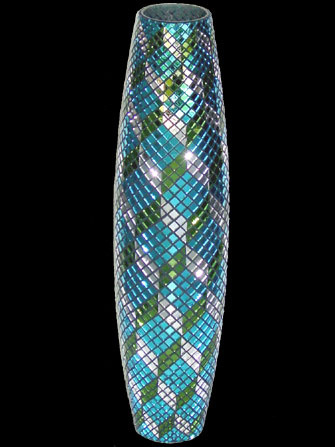 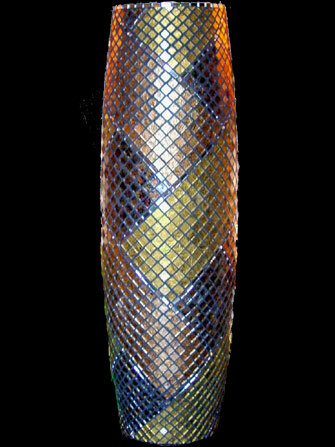 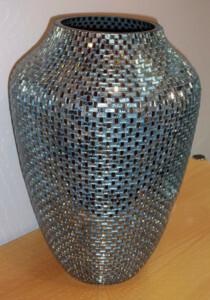 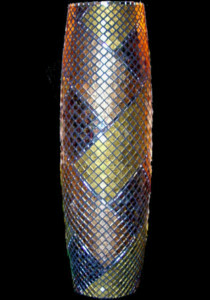 We earned an early reputation for our award winning glass vessels containing thousands of tiny, hand-cut glass tiles intricately arranged on a curved substrate. 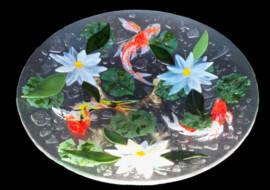 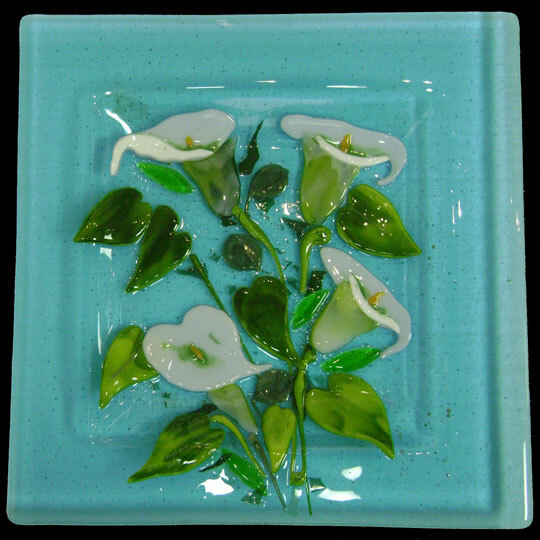 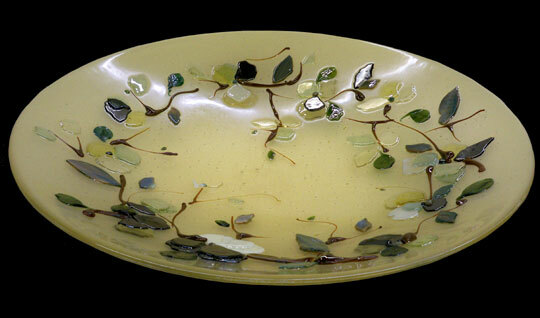 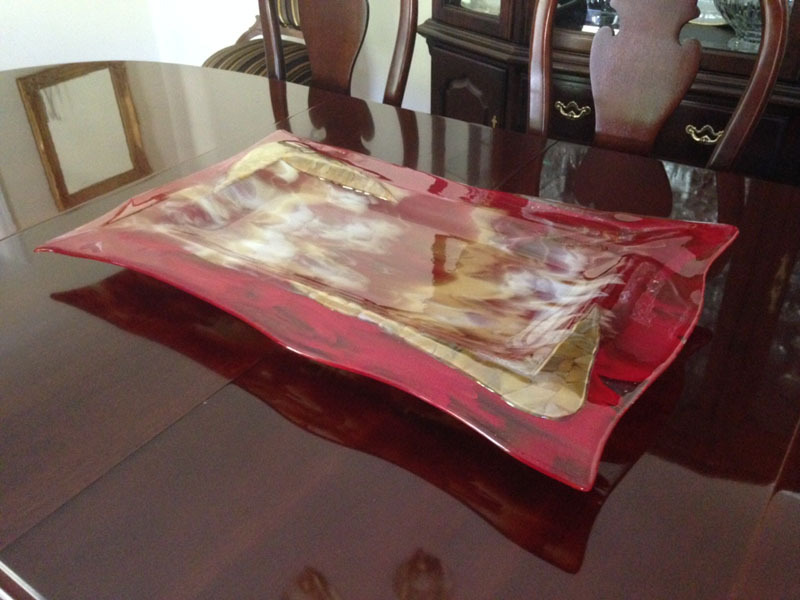 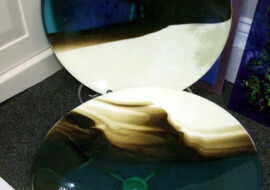 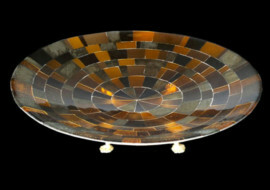 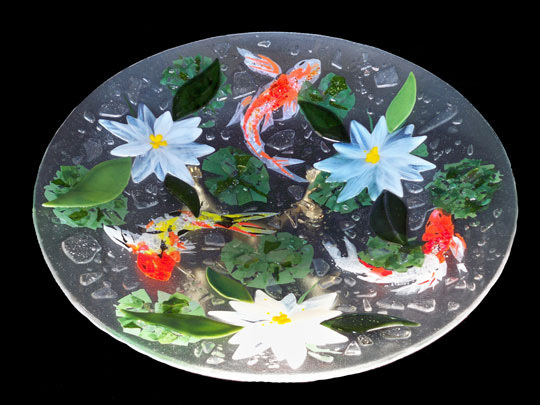 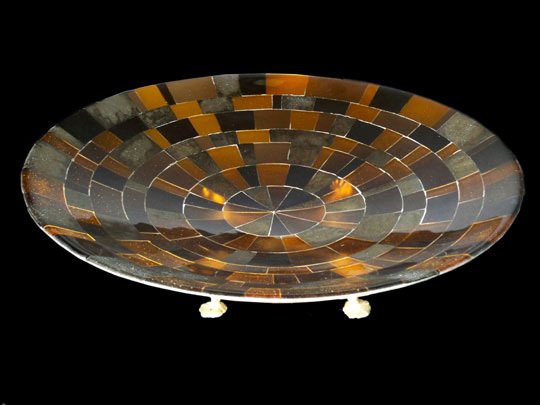 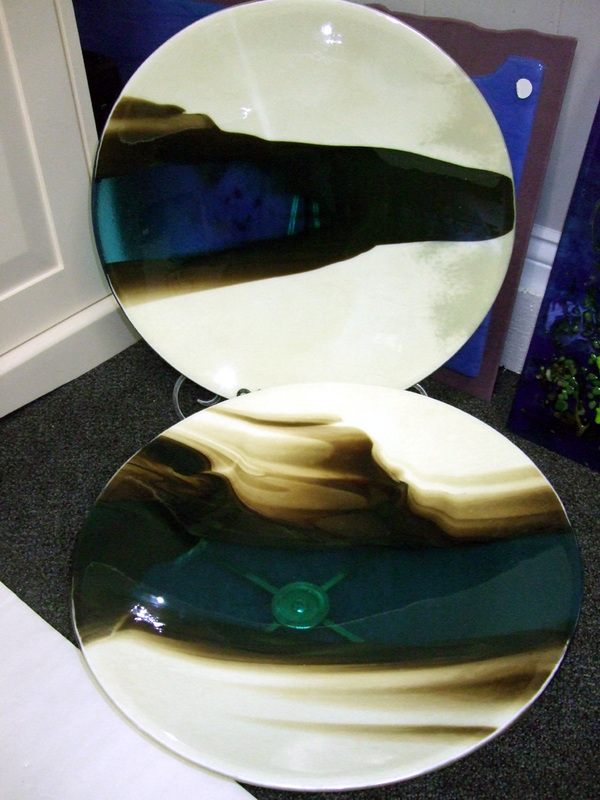 In addition to our glass mosaic vessels we also produce fused glass platters, vases, sculptures and unique pendant jewelry items. 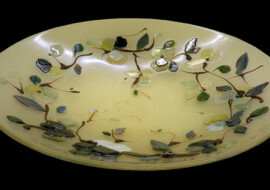 Our “Dogwood Branch” themed platters are sold in the upscale gift shop of the Mint Museum in Charlotte, North Carolina (www.mintmuseum.org) as well as Red Sky Gallery also in Charlotte (www.redskygallery.com). 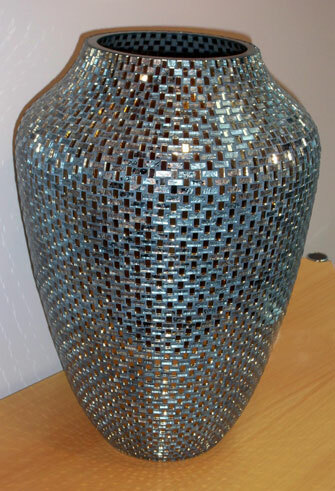 See the many examples below. 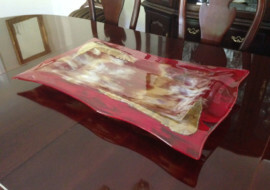 These items can be custom ordered to fit in to your decorating and color scheme. 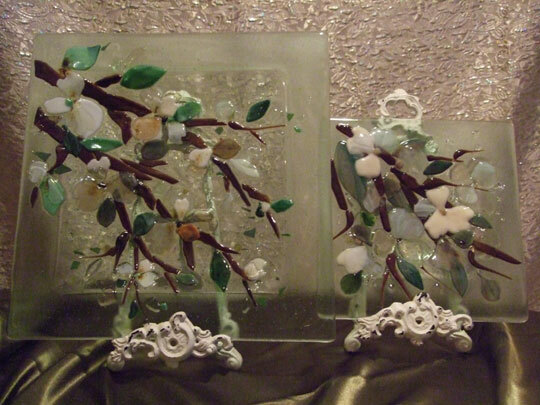 They also make wonderful gifts and awards. 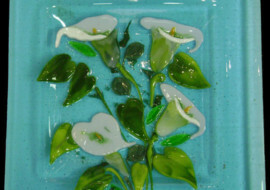 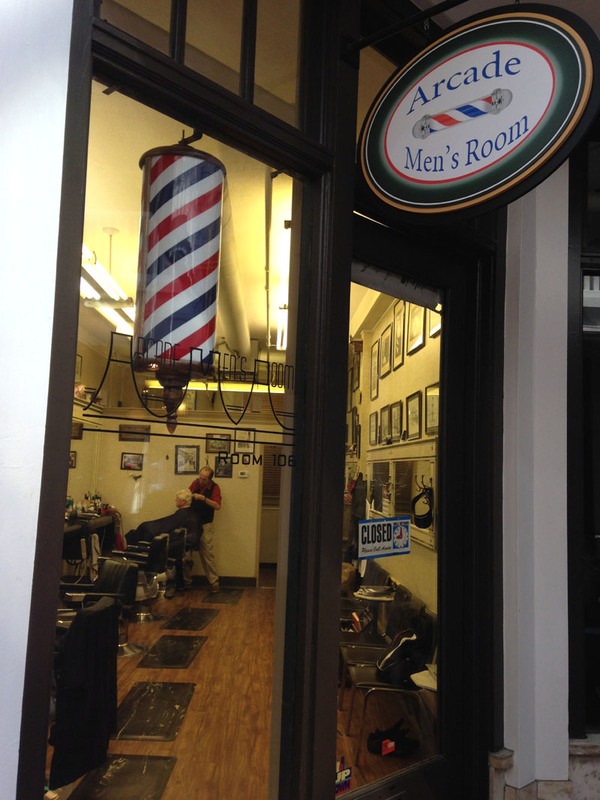 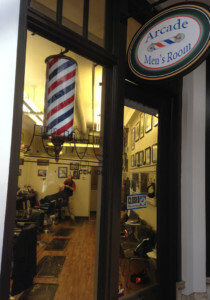 Contact us through the Contact page of our website.